What a great time of the year for a hockey fan. First game of the Stanley Cup final, and it's an edge of your seat game....as it should be. Hopefully the Hawks can come back from the 1 goal deficit. I think I missed 2 games this year...both times got stuck at work. Yeh, those were dumb luck goals by Lucic. can't argue that. Unfortunately, its not looking too good. Damn!!! I didn't see those...I was on a delay. Had to let the dogs out. Have you guys gone to bed? 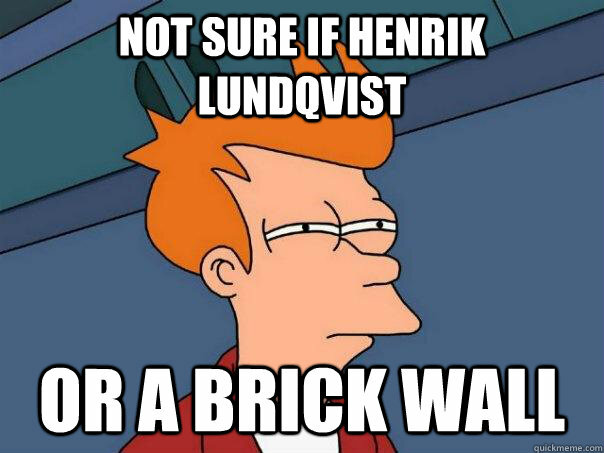 It's in the 3rd overtime. Yes. As much as I love the game, had to go to bed. Chicago rules ! Most of you don't really care hockey, and that's ok. To each his own. But when you live in the frost most of the year, you can't help but love winter sports. I play hockey year round myself, and, there are 2 feelings that can't be beat. Lacing on my skates, and, saddling on the Hawk. We finally got ride of the Bruins last night, after a long and exciting series. The thing that saddens me the most, is the un sportsmen conduct this game brings out in players. A few Boston players really lacked of class during this series, and, finally got what they deserved.....an early golf season. Well, on with the Rangers on Saturday, and hoping it will be just as exciting, with much more respect between themselves. Sorry, I'm a rangers fan. I liked the city of Montreal, but not for the next 10 daze of so. I'm tired so shut up, We're going to Pittsburgh for the game tomorrow night. I'm going to get on the ice and kick the **** out of Crosby. He's a punk. I heard today that, that ******* Crosby took a water bottle and dumped it on the Rangers goalie, whats his name Henry, Umm Henry Longhorse. Ok bye, call me back. So needless to say I was LMFAO. I called him back to let him know that the Rangers goalie is Swedish & not an American Indian and that he got the story wrong - King Henrik dumped the water on Cindy. But Cindy is still an **** and deserves an *** beating. And she's lucky, cause my crazy dumb assed brother would kick the **** out of her. Funniest thing I've heard/read all day. Thanks for the cool story. Although, sorry to see a sibling of yours having life issues. Well, after a few days to digest this heart breaking loss....the better team won. 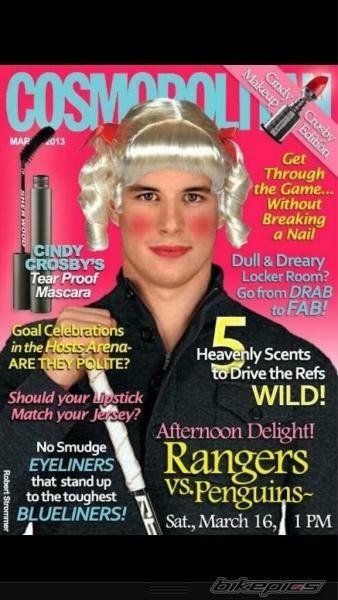 Congrats to the Rangers. Now, I'm on the thier team to beat what I hope will be the Hawks in the final round. At least my loss will not have been in vain. Plus, a few of my homies in the Rangers line up, so, it's all good. I think it will be a tough road for the Rangers if they play either team. Really luv this time of the year. No, not cause I can ride again after all the white sh... goes, but because it's great hockey season. That Ranger game was intense!! Now we have on Oilers/Sharks. and so the battle cry changes to Go golfing Habs! Go golfing! Yes, and the fact the team is built around one individual is beyond comprehension. Heads have got to roll this summer. NHL Officials win Stanley Cup! Quick Reply: Stanley Cup !